"A new ‘Growing Into Employment’ scheme from the Highland Council Employability Service is successfully giving out-of-work Nairnshire residents the opportunity to learn gardening skills to help them progress towards employment. The 12-week course – which is the first of its kind – started in May. The four attendees were long-term unemployed and were referred to the scheme through Work Clubs and Skills Development Scotland. They now attend weekly sessions of talks, discussions and practical training at Sandown Community Allotment. The scheme has been very successful. Of the four attendees, one has secured employment with a local gardening centre. 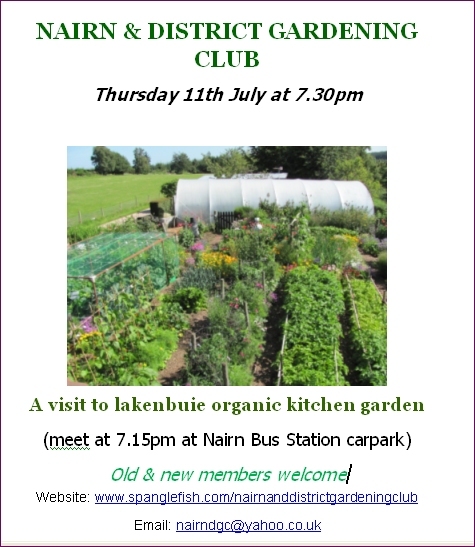 Two have got work experience and some paid work at the allotments and with Keeping Nairnshire Colourful. Two are also applying for their own allotment at Sandown. Learning how to grow fresh foods – from salads to strawberries, and from asparagus to apples. Learning about nutrition and healthy food and lifestyles. Developing gardening skills that will make attendees strong candidates for employment. 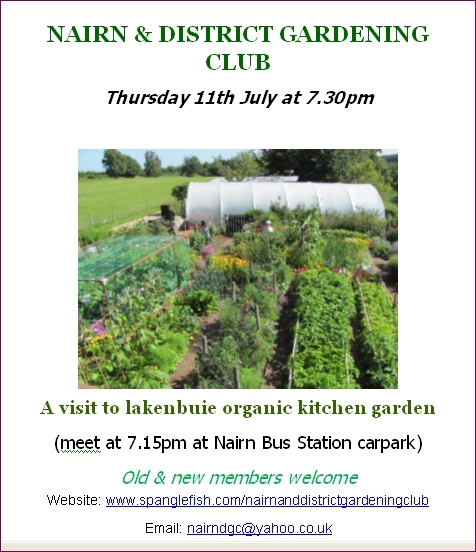 Socialising with other attendees, and getting involved in the local community at the allotment. Getting some paid work experience through word of mouth. The Highland Council Employability Service is part of the Highland Council Planning and Development Service. The team work with JobCentre Plus, Skills Development Scotland and third sector organisations to provide personalised services to people who have barriers to employment. They work with people who are disadvantaged or disengaged from society to help them overcome these barriers and to gain and sustain employment. This includes assisting people with learning/ physical disabilities, addictions, homelessness and offending behaviour. They also work with care-leavers, lone parents and young people with additional support needs."